We’ve got great news if you’re in Springfield and would like to donate supplies that will be used to help animals at our Pro-Bone-O clinics. 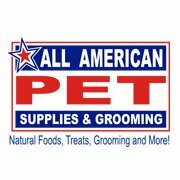 All American Pet has graciously offered to accept new and used pet supplies, food, and medicine on behalf of Pro-Bone-O during their Mon-Fri 9am-6pm; Sat 9am-5pm store hours. Head on over to our Ways You Can Help page for more details. We’d like to take some time to recognize our friends at the Hugs and Kisses Animal Fund. The Hugs & Kisses Animal Fund is a privately funded California 501 (c) (3) non-profit corporation dedicated to the financial support of humane organizations founded by Denise Madden and Warren Eckstein: author, speaker, animal advocate, host of The Pet Show in Los Angeles on KRLA and the National and Canadian show on Radio America. We thank them not only for supporting us with their donation but also for the tireless work they’ve done to improve the lives of animals everywhere. Thanks 1-800-PetMeds for the donation of pet medications! 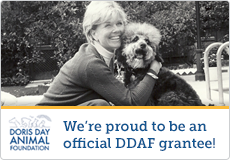 Pro-Bone-O was just awarded another amazing grant from the Doris Day Animal Foundation (DDAF). The DDAF funds 501(c)(3) organizations across the United States that directly care for and protect animals. We greatly appreciate their generosity and sincerely thank them for their financial support. We recently received a grant from Athletes For Animals, a really neat foundation that consists of professional athletes with a shared passion for animal welfare and rescue. We thank them for their generous gift! We are excited to announce that we have received a generous grant from The Animal Farm Foundation. Animal Farm Foundation makes grants to secure equal treatment and opportunity for “pit bull” dogs by investing directly in organizations and programs that support the elimination of discriminatory policies. Thank you so much Animal Farm Foundation! Pro-Bone-O’s own Jeannie Peterson and Kristina Clarke recently spoke with Sam Evans of Nonprofit Eugene about Pro-Bone-O’s unique mission, the needs that our clinics fill in the community, and how you can get involved. Check out the podcast here. We recently got a new wish list going on Amazon, chock full of items needed for our dog and cat patients, and we’re also now enrolled in the AmazonSmile program. Both are easy ways the public can help PBO. Click here to learn more. Find out about events as we post ’em by signing up for our Mailing List below! We keep your information private and never sell or distribute our mailing lists.